Home » Box Office » Will Akshay Kumar’s 100th Film Make 100 Crores? Will Akshay Kumar’s 100th Film Make 100 Crores? Starting out as a mere chef in Thailand to becoming one of the biggest stars of Indian cinema, Akshay ‘Khiladi’ Kumar has come a long way. The Punjabi lad made his Bolly debut in 1991 with a flop film Saugandh, but tasted success with Abbas-Mustan directed ‘Khiladi.’ Thanks to his training in martial arts, Akshay Kumar performed dangerous stunts in his movies, eventually earning himself the name “Indian Jackie Chan”. 2012 has been a great year for Akshay so far. His first release of the year, Housefull 2, directed by Sajid Khan, has grossed more than a 100 crores at the box office. 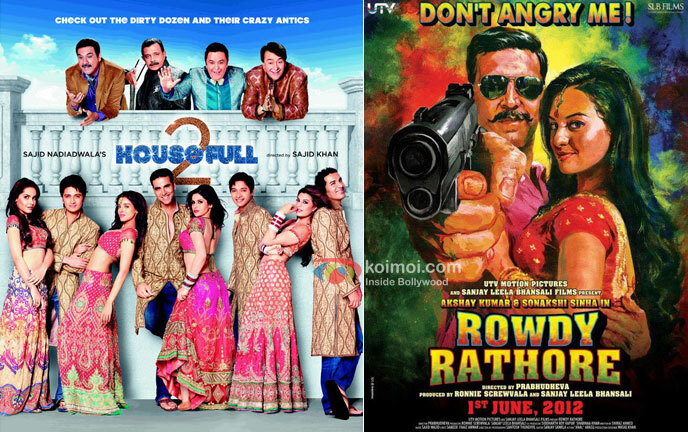 Hardly two months into this, and Kumar’s second release Rowdy Rathore has also been a box office smasher. Grossing more than 100-crore has been a game for the film, which opened to a 77-crore in its first week. Khiladi Kumar will soon reach a milestone of his career. His upcoming fantasy film Joker will be his 100th film. Starring Sonakshi Sinha opposite him, the film will release on 31st August this year. What will be interesting to note is whether the Akshay-Sonakshi pair manage to create the same magic which they did in Rowdy Rathore and managed to gross the coveted 100-crore tag? 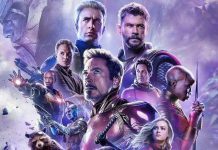 While it is too early to predict the fate of this film, one cannot ignore the fact that the film has been directed by Shirish Kunder, whose first film Jaan-E-Mann also starring Akshay and Salman, was a flop at the box office. Not only this, Akshay’s previous film Tees Maar Khan was produced by Kunder’s wife and ace choreographer Farah Khan. TMK was an equally forgettable film, and earned the cast members a lot of negative reviews. The promos of Joker were released a few days back, and much like Sachin Tendulkar’s much-hyped 100 century, people have a lot of expectations from Akshay’s century film. 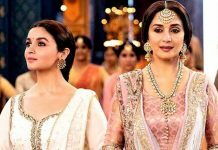 The opposite forces of 100-crore success and the flop films delivered by the husband-wife duo are making it difficult to predict the fate of the film at the BO. Will the 100th film prove to be a 100-crore hat trick for the fearless Khiladi? Or will it be a flop-trick for the Farah-Akshay-Shirish trio? All we can do is wait and watch! But do let us know your views about Joker. It will be hit but not make 100cr. It will make more than Rs.100cr.net at domestic boxoffice bcz it’s unique good story. bro sirf itna lamba chauda likhne se koi cheej hit ya flop nahi ho sakti. It’s too early to say that this movie would be flop and even for hit. We have to wait and watch. it will be hit and will make more then 100 cr. bcoz it’s story may be different. It may be cross 120cr………. Akki is real action king n stuntman.. It will be hit and earn above 110crore. Welcome 2 akki’s fan. It’s a very gud news bcoz joker is akki’s upcoming soon which is like bollywood avatas. Joker will be a gr8 success at boxoffice and will cross the net 100 crore mark. this film super duper hit hain. Akki rock in 2012. Hoping to cross 100 crores in two days. Akshay is best .i like akshay..